Omar ibn Said, b. 1770? and J. Franklin Jameson (John Franklin), 1859-1937, edited by Autobiography of Omar ibn Said, Slave in North Carolina, 1831. Ed. John Franklin Jameson. From The American Historical Review, 30, No. 4. (July 1925), 787-795. Autobiography of Omar ibn Said, Slave in North Carolina, 1831. Ed. John Franklin Jameson. From The American Historical Review, 30, No. 4. (July 1925), 787-795. Washington, D. C.: American Historical Association, 1925. About Omar ibn Said, b. 1770? African American Muslims -- North Carolina -- Biography. Muslims, Black -- North Carolina -- Biography. 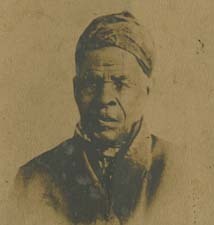 Said, Omar ibn, 1770?-1863 or 4.